It’s nearly Halloween and, aptly, John Branca has coughed and spluttered back into action to gift us with a trio of new projects. The first is a compilation CD of songs that are Halloween-themed and also of songs which aren’t Halloween-themed. 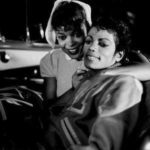 The tracklist includes Ghosts, Thriller, Torture… and Dirty Diana and Scream. 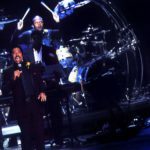 The second new project, given a preview at Comic Con in New York, is a cartoon about a jeri curl-sporting dog set to ‘reimagined’ Michael Jackson songs. 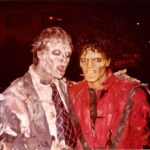 The third is a 3D conversion of Thriller which featured the wrong music at its London premiere. 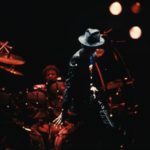 Two of these peak Michael Jackson Estate offerings – the CD and the new version of Thriller – were launched in recent weeks with a series of invite-only fan parties. After screening the music videos for several of the songs on the CD, John Branca and John Landis teamed up for some Q&As. 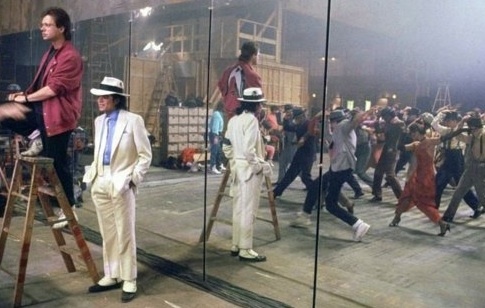 So fans were treated to the sight of an unconvincing plastic dummy serving as a proxy Michael Jackson. They also saw the Torture video. 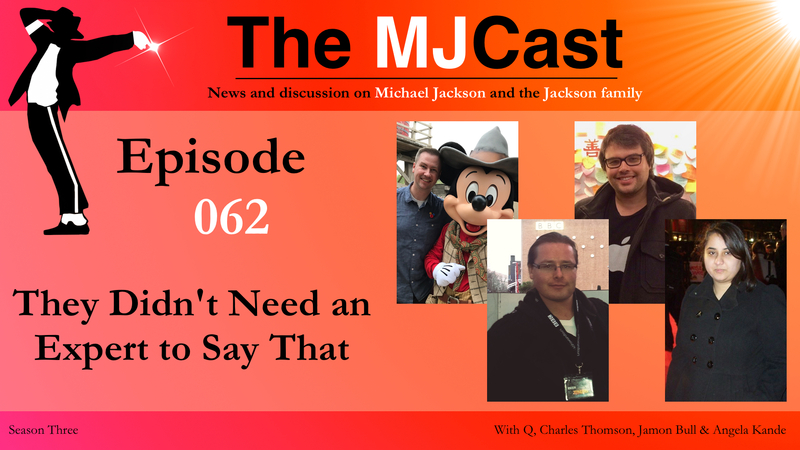 Co-host Charles Thomson and friend of the show Paul Black appear on this episode to discuss these latest Estate releases after Jamon and Q’s round-up of all the hottest news. Michael’s Aviator sunglasses have been reimagined after 35 years. 3T have performed at the We Love 90s Festival in the Netherlands. 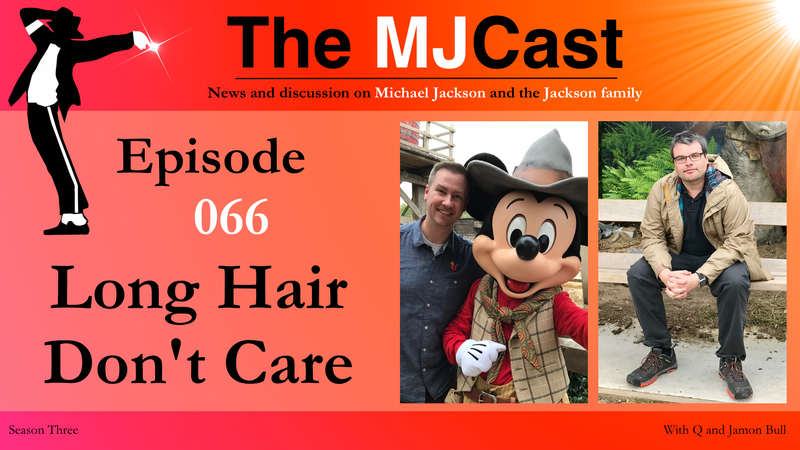 A series of projects have taken place to mark 30 years of the Bad album, including The MJCast en Espanol’s first roundtable episode, a new article by Albumism and a new MJ101 eBook by Andy Healy. 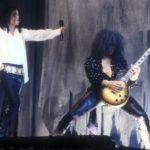 Some new footage has leaked from the Dangerous Tour in Copenhagen. 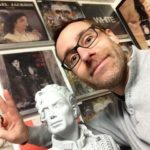 A new HIStory Tour concert, from Johannesburg, has leaked. 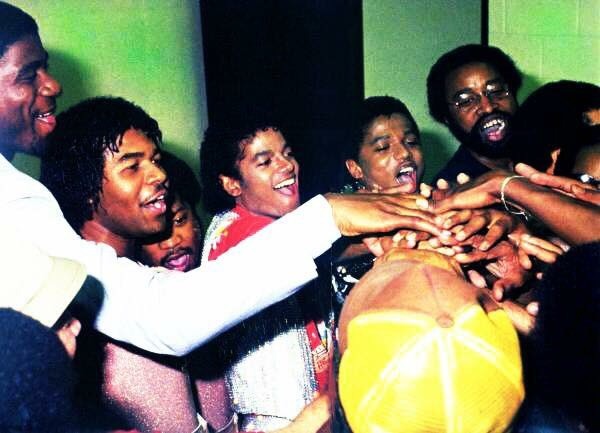 A new audio documentary has been released about Janet Jackson’s work with Jam & Lewis. Janet Jackson has kicked off her State of the World Tour in Houston and visited homeless shelters for the victims of Hurricane Harvey. Paris Jackson has been announced as an ambassador for the Elizabeth Taylor Aids Foundation. 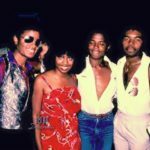 ABC 20/20 has aired a documentary about the murder of Tito Jackson’s ex-wife Dee Dee, about which her sons – 3T – are unhappy. London’s National Portrait Gallery has announced an exhibition of artwork inspired by Michael Jackson, to be held in summer 2018. Behind the scenes footage of Nahko Bear’s new music video, featuring Paris Jackson, has been released. 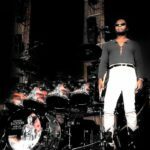 Taryll Jackson has released Start It All Over Again. 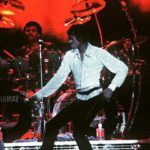 Chart Masters has published an article detailing how many units the Thriller album has actually sold. A collector claims he has a rare copy of Michael Jackson’s Moonwalker Sega game, featuring Thriller. Chinese billionaire Jack Ma, CEO of the Alibaba Group, has performed some Michael Jackson dance moves. 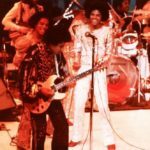 Sony and the Michael Jackson Estate have marked the release of a new Michael Jackson compilation CD with a series of fan parties, featuring screenings of Thriller 3D. Just when you thought things were getting back to normal, Jamon has deserted ship again, leaving Q to man the deck single-handed. Luckily, Q is more than capable of entertaining himself while Jamon isn’t looking. 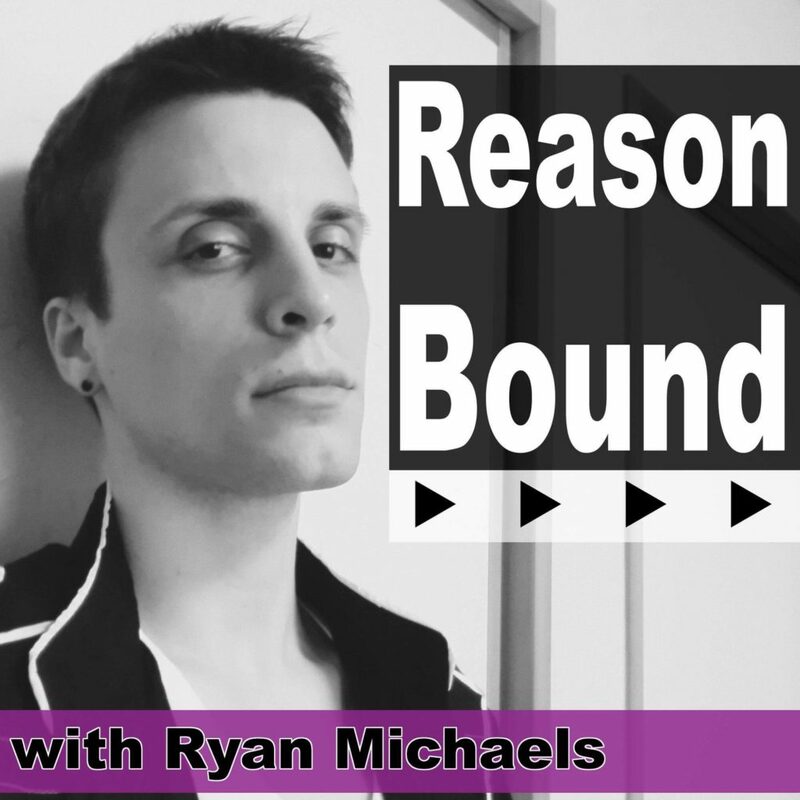 In this solo episode, Q answers questions submitted by you, our loyal listeners. 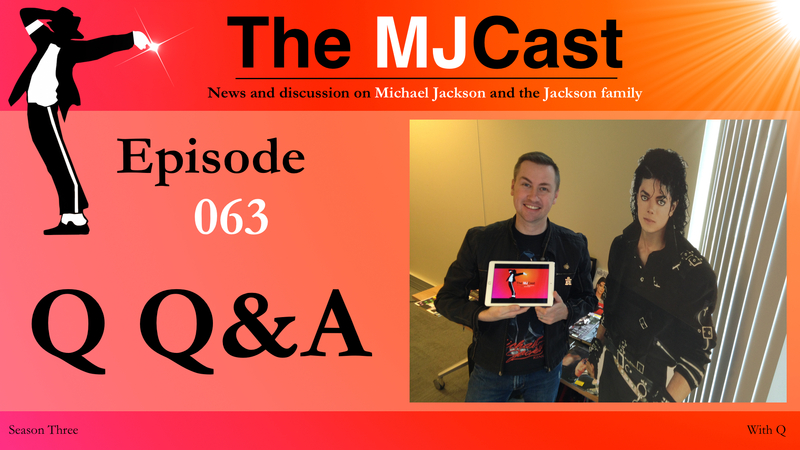 Episode 062 was the fastest-downloaded regular news episode in the show’s history, so Q felt Episode 063 would be the perfect opportunity to engage in a little back and forth with our ever-growing audience. 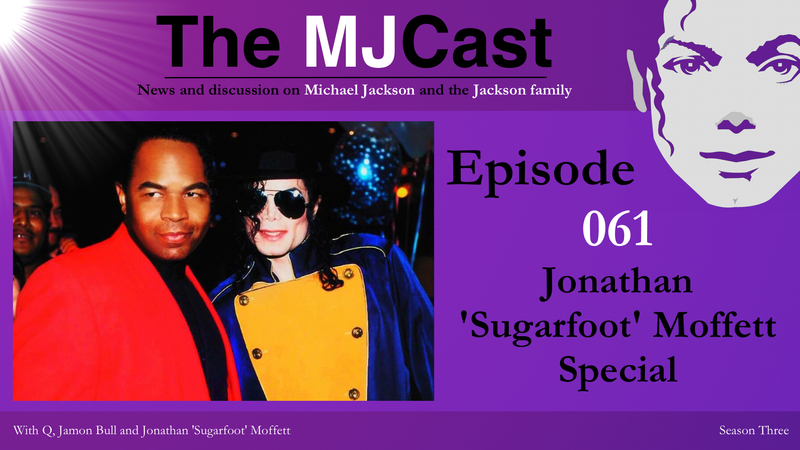 Topics ranged from MJ in the movies to what Q would do if if was manning the fort over at the MJ Estate, instead of here at The MJCast. Who are three actors you think would be able to channel Michael the best in a movie (could be singers as well)? 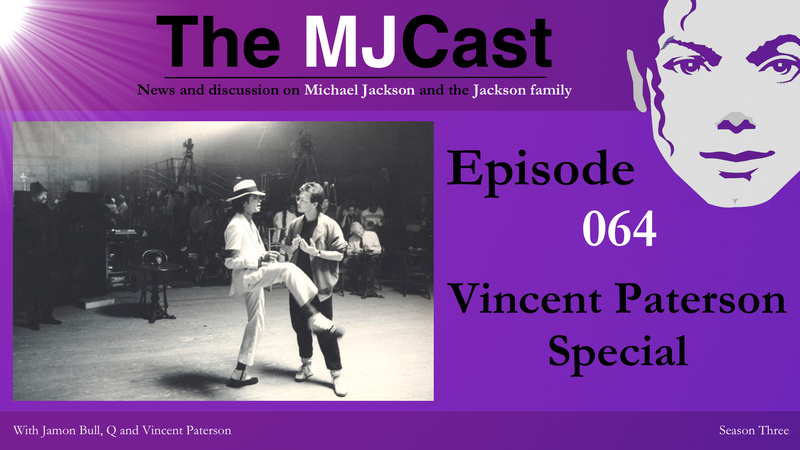 What already existing movie roles do you think Michael possibly could have played? 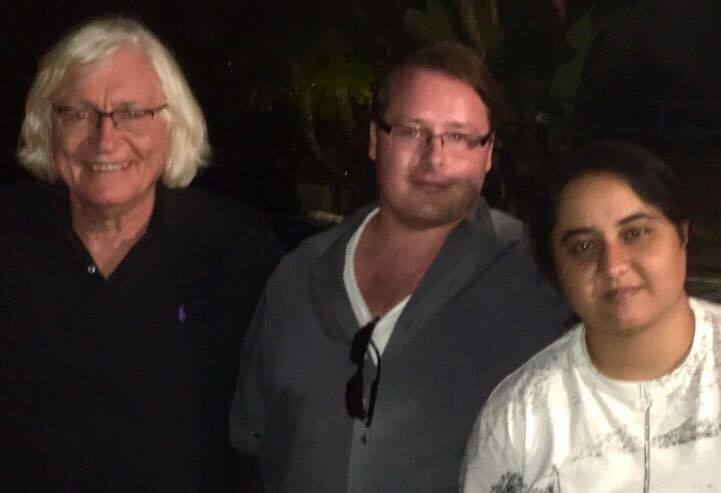 Do you have any exciting guests on upcoming episodes and, if so, could you give us a few hints on who they may be? Which MJ songs have you not listened to ever since MJ’s passing? What were the highlights of seeing MJOne? 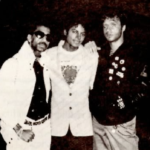 A common complaint with fellow fans is the lack of available materials from the Jacksons’ touring years. As we gripe about not having the Destiny, Triumph or Victory tours on any media, we never ask who owns the rights to those tours. Is it the band (ie. 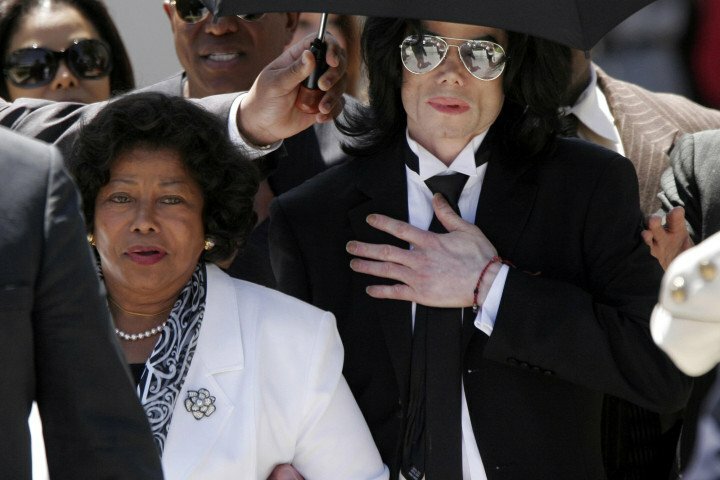 The Jacksons) or another entity? 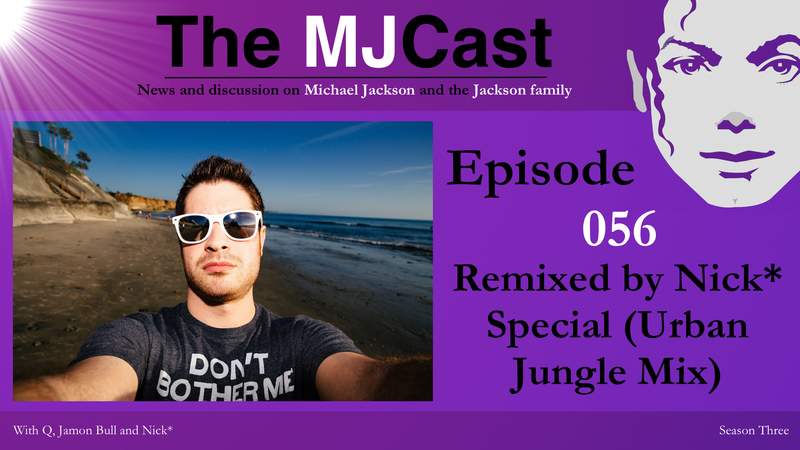 The MJ Estate may not have full ownership and may therefore not be to blame for not releasing them. I personally have no clue and thought you may have insight. 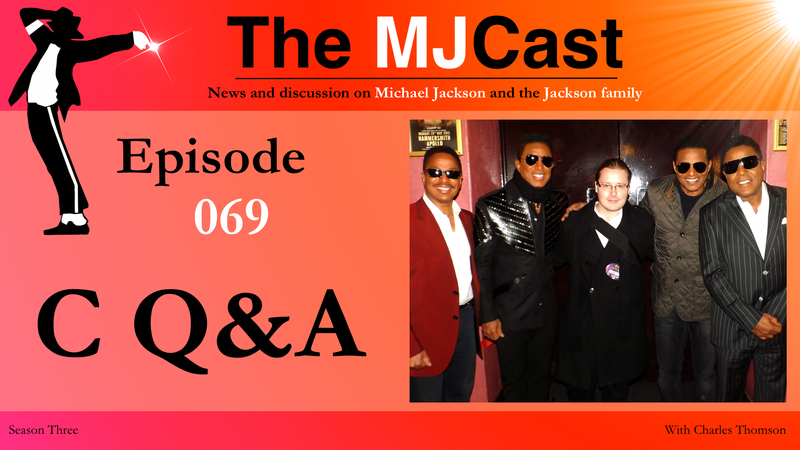 My second question relates to your outstanding work in putting this podcast together. Without revealing your secret sauce, as you all seem to make it so easy, how do you manage to produce such a high quality show with consistent topics and without speaking over each other? How much prep time is involved and how do your respective significant others feel about the time we steal away from them? I love them all for sharing you with us so generously. One last question. Can we get Mr Thomson to live tweet more? He is priceless. 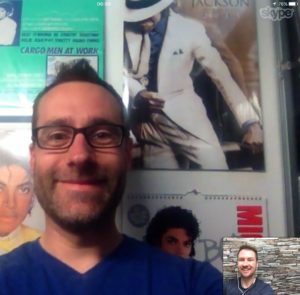 If you could go back to witness one moment from Michael’s life or career, what would it be and why? 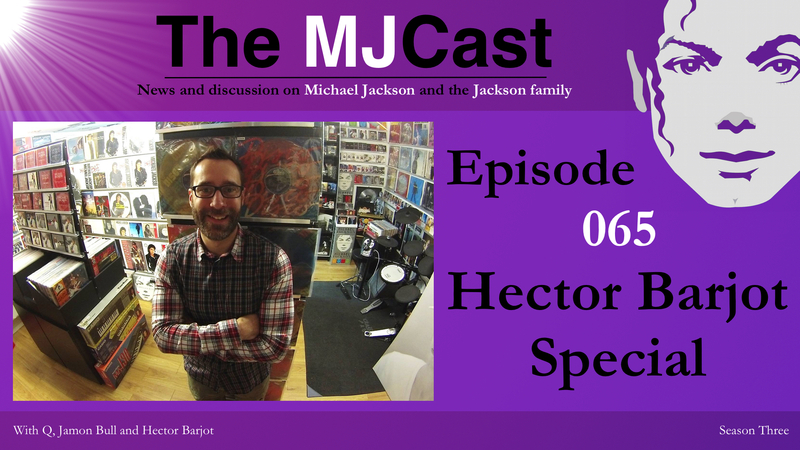 If you could own any piece of MJ memorabilia, what would it be and why? 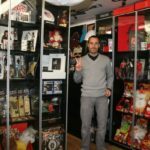 If you were in charge of the MJ Estate, what would be the first MJ item/thing that you would put out or do for the public? If you could go back in time and watch Michael create a signature moment during his stellar career, what would it be and why? 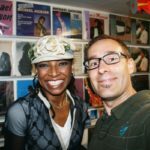 The famous Oprah Winfrey question: What do you know for sure? 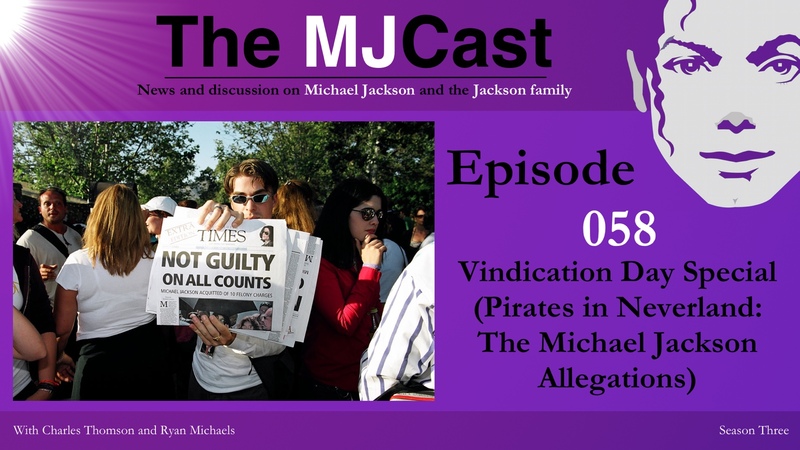 Do you know what happened to the tsunami relief song Michael was working on around 2005, that he was shown working on in the Geraldo Riviera interview? 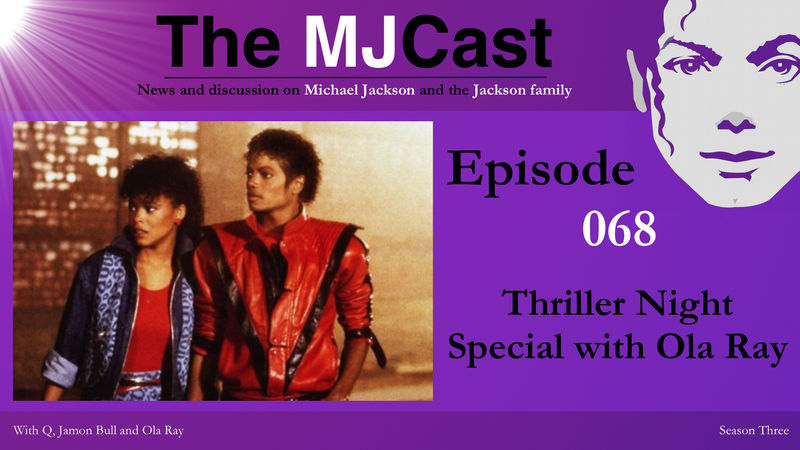 Do you think we will get a remastered Thriller on Blu-Ray as a result of Thriller 3D coming to cinemas?